Tulle is a beautiful fabric, but the edges of it can often get caught in the lattice of the fabric. 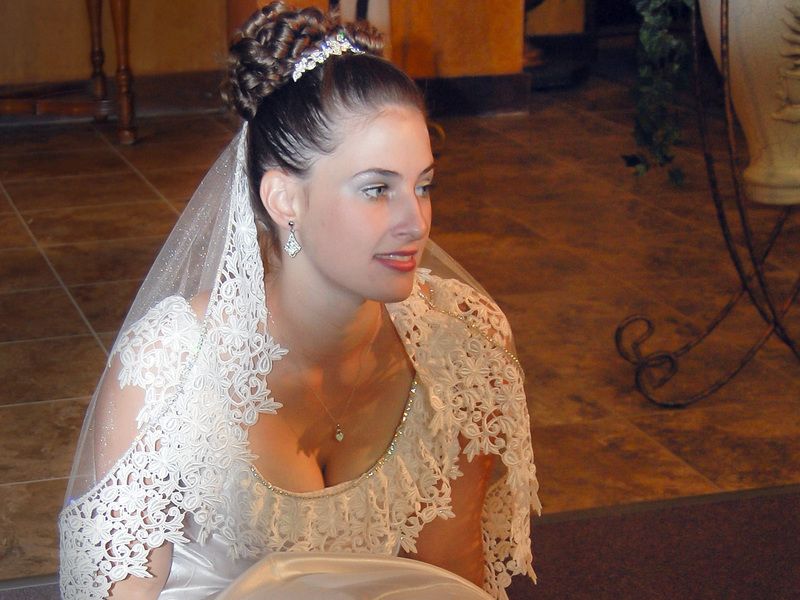 Veils need edging, and this is where you can easily make your veil stand out. Here are a few popular trim styles that can get you thinking about what you’d like to have. Thread. This is the simplest edging. It will give your veil a simple, neat edge while not calling much attention to the veil. It’s also the lightest option. Cording. A very narrow ribbon edges the veil. This provides a nice, clean edge while also providing an appealing line. It comes in many colors as well, which gives you the option of matching your veil, dress, or integrating your wedding colors into your veil. Ribbon. Ribbons come in all shapes, thicknesses, and with or without ornamentation. There’s no limit to what you can do with the right ribbon – like cording, you can coordinate with anything or use the ribbon to accentuate the edges. Lace. Again, the varieties are almost infinite with lace, especially if you’re looking for white or ivory lace. Less typical colors will have fewer available options. Lace works well alone or can be used in conjunction with the next two options, beading or rhinestones. Very intricate lace patters will require specific planning with tiered veils so the tiers don’t interfere with each other. Beading. I hand-sew all my beading, so a simple line around the edge of a veil will take much less time (and therefore be less expensive), but I can create any design you want, from the edges on up to the comb! Rhinestones. While beading provides a twinkle on the edge of a veil, rhinestones can up the glitz! (Don’t worry, they don’t actually show up black in photos) Chain rhinestones make it easy to edge a veil in rhinestones as well – I like to use them in conjunction with lace to add panache. As I said above, this is not an exhaustive list. If you have something else you want in your veil, I’m always up to create something I’ve never seen!